A beautiful house in the middle of stunningly beautiful nature. Wonderful hosts. 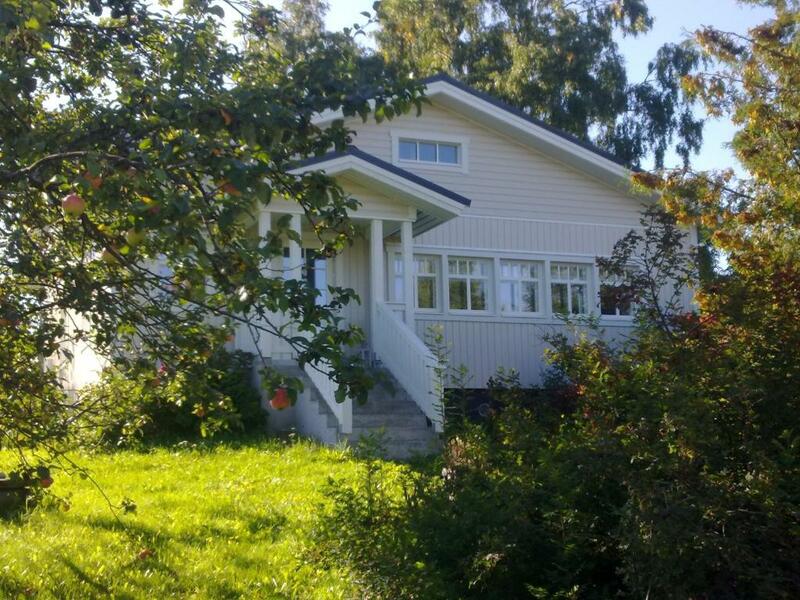 Very good cottage for a company of friends, quiet and peaceful place. You cán find everything you need in the house. Tuija and Vesa are very good hosts. Hosts communicated by email with any questions and were very welcoming and friendly. A beautiful large house. Spotlessly clean with an excellent sauna. In lovely countryside isolation about 20 minutes drive from town. Comfortable plain bedrooms. Would live to come for longer next time. Понравилось все. Мы любим удаленность от соседей. Любим чистоту в доме. Приветливых хозяев. В доме много посуды, это однозначный плюс. Есть все необходимые условия. отличная сауна. Комфортные матрасы на кроватях. Большой стол. Отличный камин, который очень долго держит тепло. Все по домашнему. Xороший подъезд к дому. Todella siisti talo.hyvä varustelu,riittävästi astioita. Tilava ja todella kaunis. Красивый и уютный дом с винтажной мебелью, уютной атмосферой, и со всем необходимым для комфортного проживания (от гриля до стиральной машины). Хозяева очень внимательные и приятные люди. Отдельно заслуживает внимание близлежащая территория - в лесах летом полно земляники, есть несколько озер в пешей доступности и бор, в котором наверняка осенью море грибов - это подкупает и хочется возвращаться еще и еще. До Савонлинны на машине совсем недалеко. Местоположение дома очень удачное, особенно для тех, кто устал от города. Erittäin rauhallinen paikka, jossa aivan ihana maalaisympäristö. Hyvät sängyt ja muutenkin varustus oli hyvä. Ihana, tunnelmallinen talo ja kovin ystävällinen isäntäväki! Viihdyimme erinomaisesti. Второй раз останавливаемся в этом доме. Всё очень нравится! Viehättävä talo, piha ja ympäristö. Kaikki asiallista. Mukava sauna. Luonnon rauha. Lock in a great price for Paunolanmäki Holiday House – rated 9.4 by recent guests! 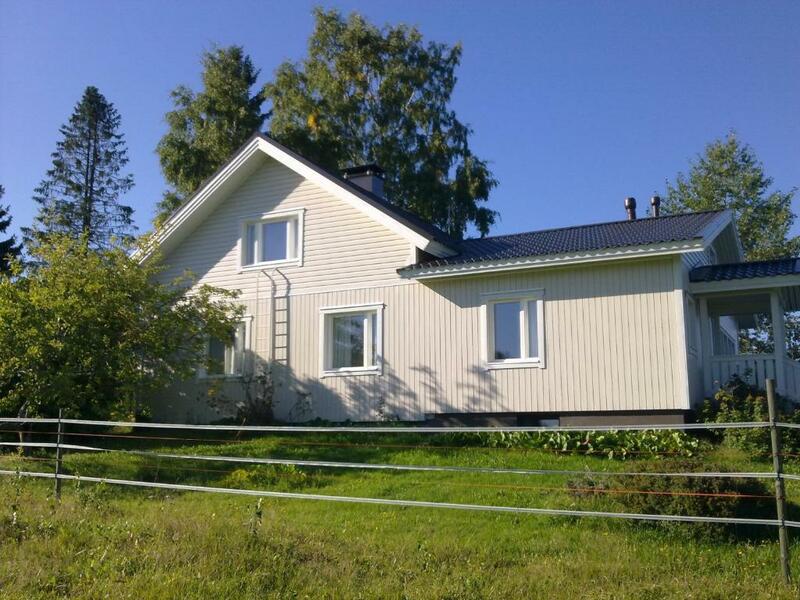 Located atop a hill, this house is next to a horse riding farm, 11 mi from central Savonlinna. 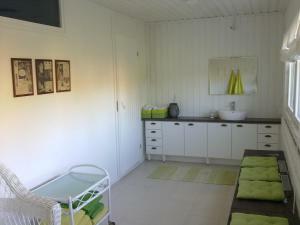 It provides an electric sauna, a fully equipped kitchen and free use of bicycles. 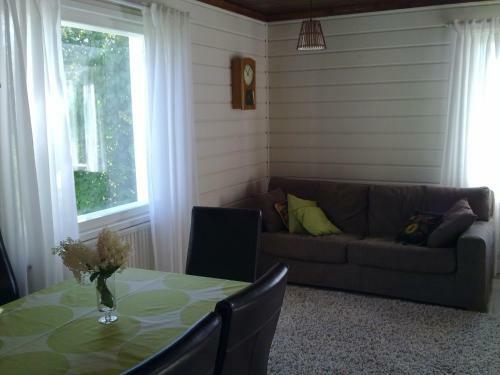 A fireplace, TV and DVD player are found in Paunolanmäki Holiday House’s living room. A shower room and 2 separate toilets are also provided. A dishwasher and washing machine/dryer add further convenience, while a BBQ can also be enjoyed. During the summer, 2 granary buildings provide extra accommodations options. Paunolanmäki Holiday House's staff can help arrange horseback riding and babysitting services on site. The town of Punkaharju, Retretti Art Museum and Kesämaa Water Park are all within 30 minutes’ drive. Ruunarinne Ski Resort is 17 mi away. This property also has one of the top-rated locations in Laakkola! Guests are happier about it compared to other properties in the area. This property is also rated for the best value in Laakkola! Guests are getting more for their money when compared to other properties in this city. 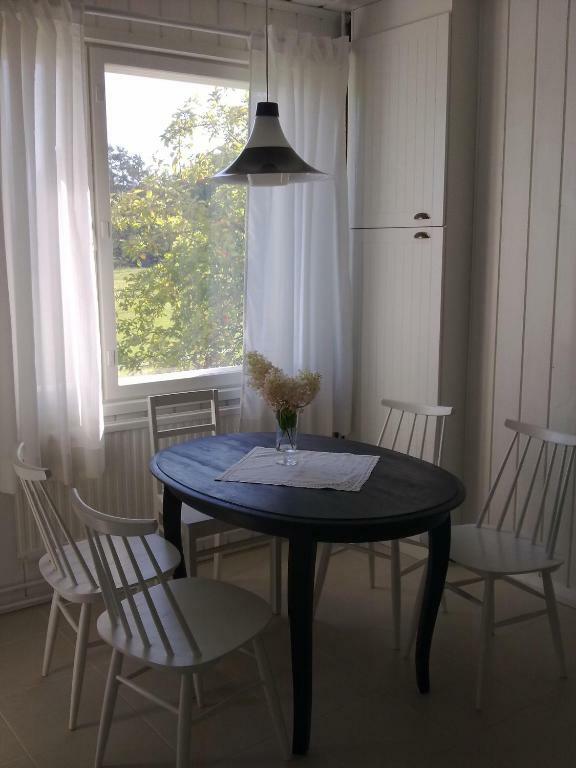 When would you like to stay at Paunolanmäki Holiday House? 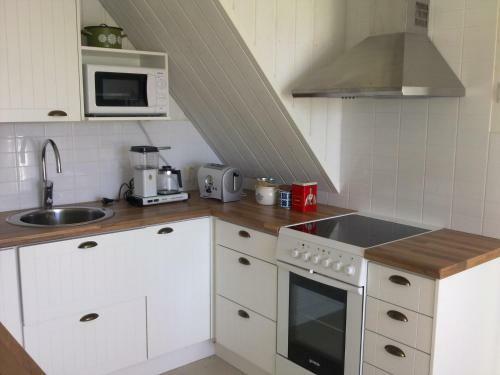 Large house offering a sauna with shower, 2 toilets, a fully equipped kitchen and a washing machine/dryer. The living room has a fireplace, TV and DVD player. 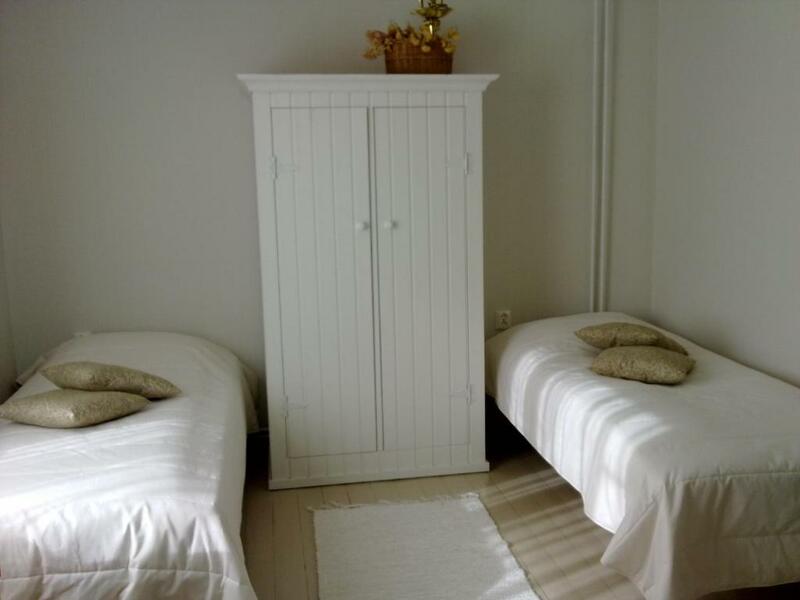 Offers accommodations in a house and 2 neighboring granary buildings. The main building features a sauna with shower, 2 toilets, a fully equipped kitchen and a washing machine/dryer. The living room has a fireplace, TV and DVD player. 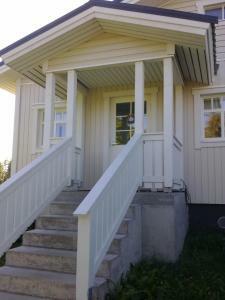 House Rules Paunolanmäki Holiday House takes special requests – add in the next step! Please let Paunolanmäki Holiday House know your expected arrival time in advance. You can use the Special Requests box when booking or contact the property. 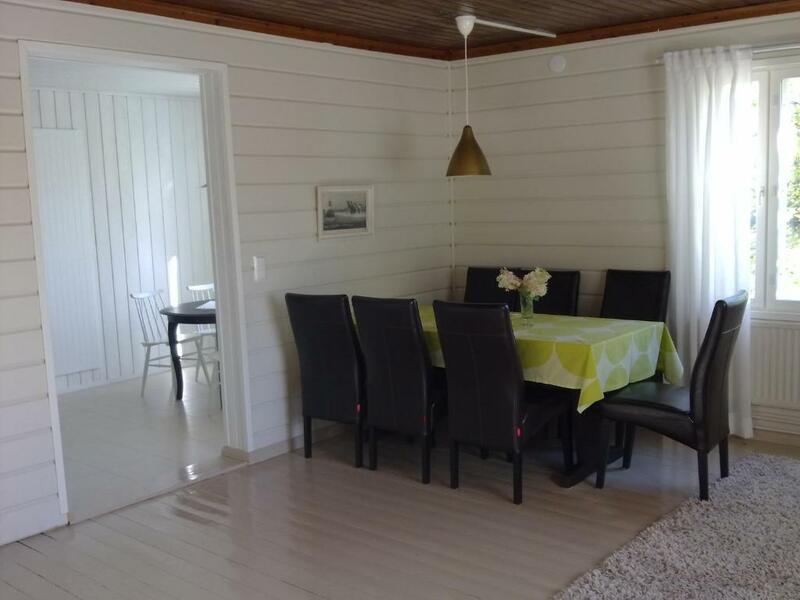 After booking, you will receive driving instructions from Paunolanmäki Holiday House via e-mail. Bed linen and towels are not included. You can rent them on site for EUR 10 per person per stay or bring your own. There is no Wi-fi. It was a problem for us, but may be it is an advantage for other people when they have a vacation? Can't pay via booking.com. No WiFi but we did get good reception via Vodafone.